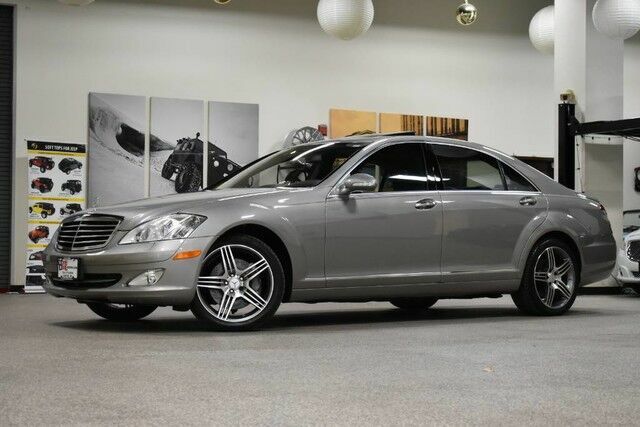 2007 Mercedes-Benz S 550 4MATIC is a well maintained and well taken care of All Wheel Drive Luxury Sedan with great options. Fully serviced and ready to go. Please look at all the pictures to see how nice this vehicle is. This Mercedes-Benz includes: METALLIC PAINT LEATHER SEAT TRIM (STD) Leather Seats PREMIUM PKG 1 Cooled Front Seat(s) Heated Front Seat(s) Satellite Radio GAS GUZZLER TAX NAVIGATION SYSTEM SUNROOF HARMAN KARDON SOUND SYSTEM *Note - For third party subscriptions or services, please contact the dealer for more information. * When you purchase a vehicle with the CARFAX Buyback Guarantee, you're getting what you paid for. Opulent refinements married with exceptional engineering make this the kind of car you'll want to own for a lifetime.